The Passover commemorates Jesus’ sacrifice. He told us to continue keeping it in remembrance of Him, and that’s what we did just a couple days ago. And now we’re beginning the holy week following Passover — the Days of Unleavened Bread. It’s the perfect time to reflect on the meaning of His sacrifice. 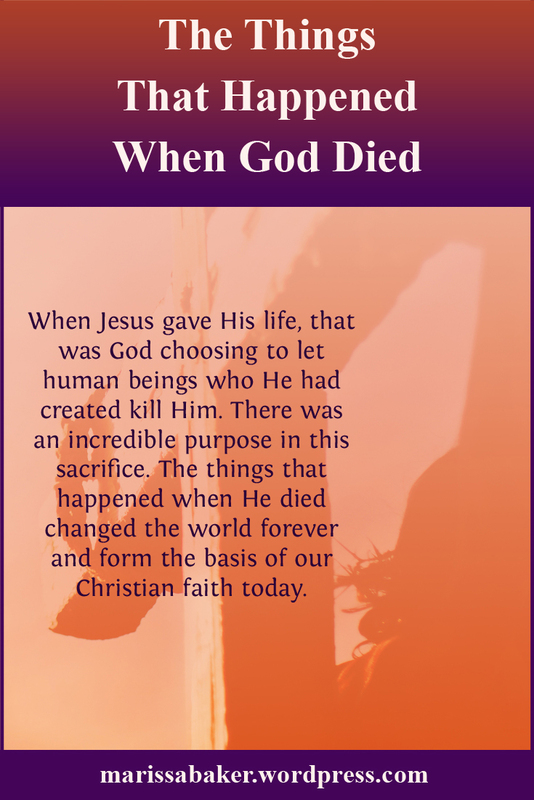 When Jesus gave His life to save sinners, that was God choosing to die for us. The being John calls “the Word” whom we now know as Jesus was God along with the Father throughout the Old Testament. He gave up that glory to live as a human and sacrificed His life on our behalf; the Creator dying for His creation. Such a sacrifice as half the original Godhead dying shook the world, both literally and figuratively. In the moment Jesus died the temple veil tore from top to bottom, the earth quaked, rocks split, and dead people rose from their graves (Matt. 27:50-53). And as time passed, the Christian believers learned more about what that moment meant on a spiritual level as well. Covenants are the basis of God’s relationships with people. In the first covenant, God included a revelation of His laws, statutes, and judgements which Ancient Israel agreed to follow (Ex. 24:7). But the people fell short of the Divine standard and that brought on them a death penalty. Someone had to pay for the broken covenant. In the Greek language of the New Testament, the word used for “covenant” is the same as “testament.” The writer of Hebrews was inspired to use this comparison in explaining what effect Jesus’ death had on the Old Covenant. When we start talking about the relationship between God’s law and New Testament Christians, everyone wants to jump right into Paul’s writings. 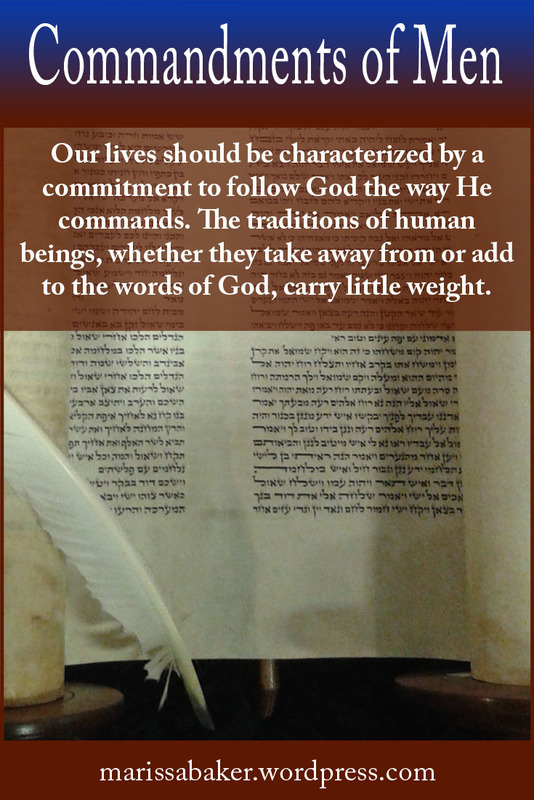 It’s easy to pluck verses from his epistles out of context and use them to argue the law has been abolished and you don’t have to keep the commandments. But is that really the best explanation for passages like Romans 7 and Colossians 2 in light of the rest of the Bible? This verse provides context for what’s to follow. Paul’s going to be talking about the difference between following traditions invented by men and following Christ. He’s not just talking about whether or not the Old Testament law matters since Jesus came in the flesh. There’s another factor in play. Today we celebrate Yom Teruah, also called Feast of Trumpets and Rosh Hashanah. But why? 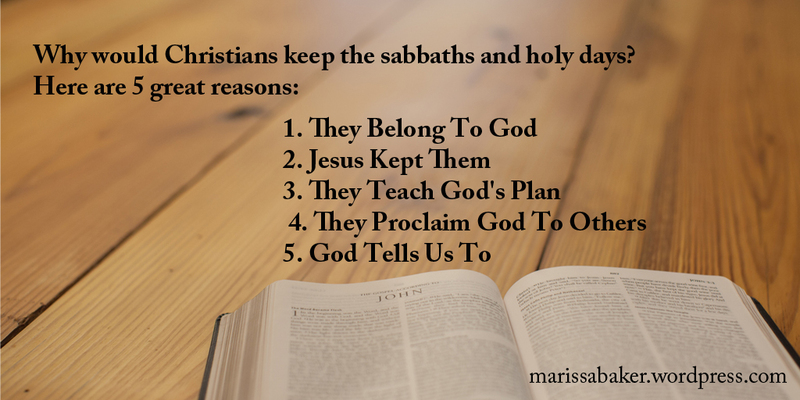 After all, I’m Christian and most people think of this as a Jewish holiday. Same goes for Yom Kippur/Day of Atonement, which we’ll observe 10 days from now, and Sukkot/Feast of Tabernacles that starts in two weeks. I believe these festival observances, along with others already completed this year, are for Christians today. When Jesus came to this world, it wasn’t to set up a new religion. He was the next step in God’s plan for the world and these days are part of the covenant He makes with His family. He’s still inviting us to gather for “reunions” at certain times of the year. One of the biggest problems in modern Christianity is an extreme either-or mentality. We lack balance, straying from one ditch to the other. 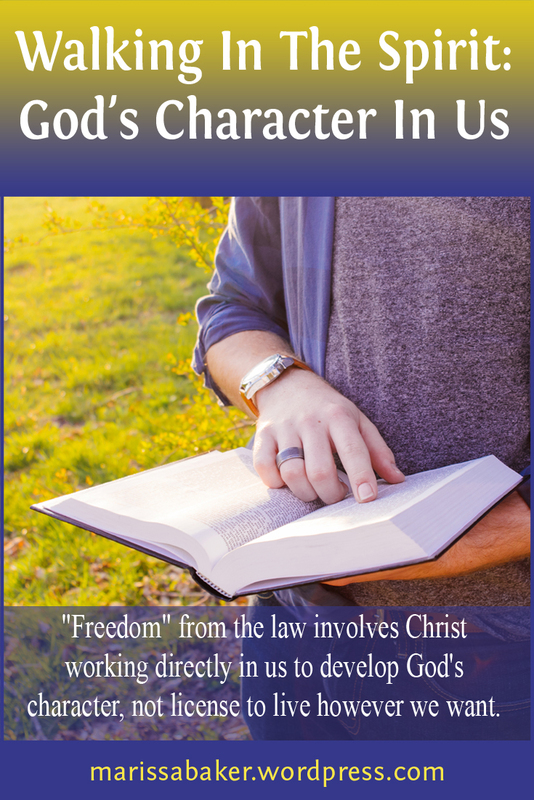 Consider the Christian’s relationship with the Law. Some will say we must keep the whole law slavishly and seek part of our salvation in it (legalism), while others reject it entirely and say God doesn’t care if we keep His commands as long as we have Jesus (license). Both views miss the point. Most arguments that the Law isn’t relevant today start with Paul. But Paul’s letters contain things “hard to understand” which people who aren’t well-grounded in the entirety of scripture can “twist to their own destruction” (2 Pet. 3:15-16). When we’re going to study a complex subject like this, we have to start somewhere more straight-forward. I can think of nowhere better than words directly from Jesus’ own lips. But What If God Scares Me? So you’ve heard about the love and grace of Jesus and want to learn more. Maybe you even had another Christian lead you to Jesus and accepted Him as your savior. Then you sit down intending to read the Bible from start to finish and find something you weren’t quite expecting. Genesis starts out with creation and the fall of man, then suddenly God’s wiping the whole earth out in a flood (Gen. 6:5-8). Next He’s scattering the people of Babel for building a tower (Gen. 11:5-9) and raining fire and brimstone down on Sodom and Gomorrah (Gen 19:24-25). Why does the God you know as forgiving and accepting seem so angry? Where is God’s love and grace here, in the Old Testament? 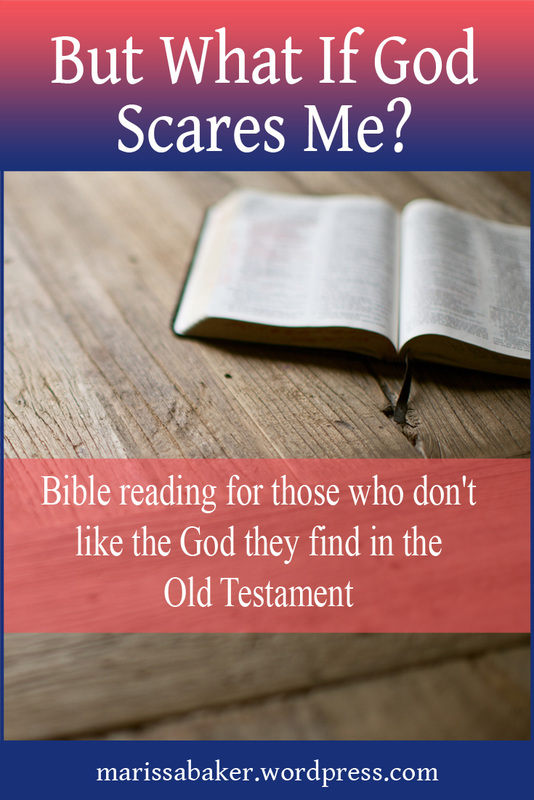 Many people give up on the Bible and/or their faith because God isn’t what they expect, or they go for a version of Christianity that highlights the New Testament and ignores any verses about uncomfortable topics like judgement and sin. But authentic Christianity demands something more of its followers. Jesus said, “Many are called, but few are chosen” twice in Matthew’s gospel (Matt. 20:16; 22;14). We don’t want to be the people who receive the seed of the gospel and then wither away because we have no root (Matt. 13:5-6, 20-21).